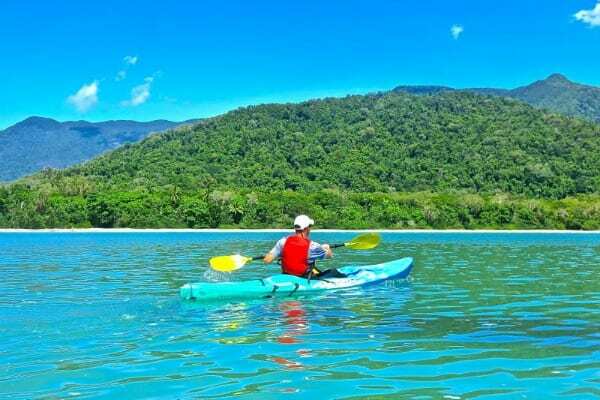 At 110 million years old, the Daintree Rainforest in Tropical North Queensland is possibly the oldest existing rainforest in the world. 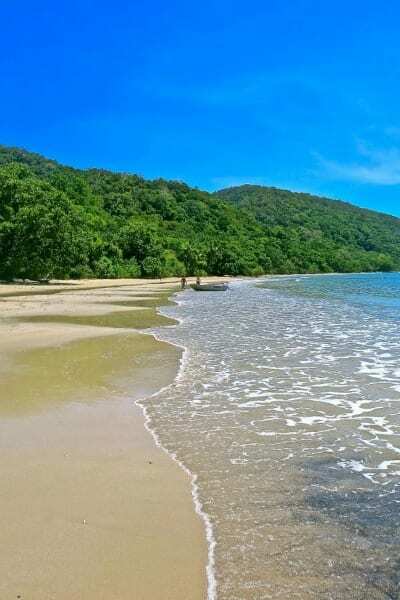 But the Daintree Rainforest and Cape Tribulation – a headland located within Daintree National Park – look anything but tattered and old. 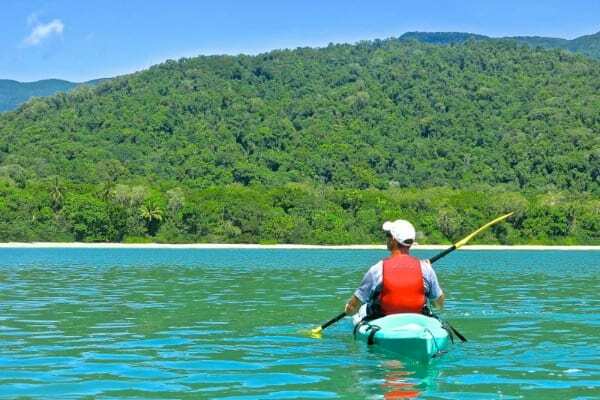 Cape Tribulation is also the point where World Heritage Listed Daintree Rainforest meets the World Heritage Listed Great Barrier Reef, the only place in the world where two World Heritage areas meet. 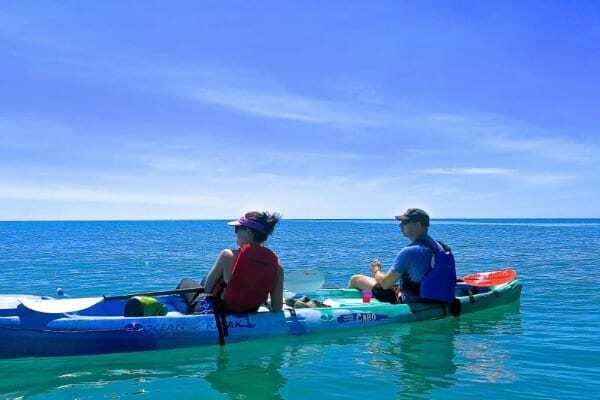 I knew I was going to enjoy this day, and as I sat quietly in my kayak a few hundred metres off-shore gazing back, all I could think of was beauty, serenity and being privileged. Pete, my guide for the kayaking trip, also got me excited. 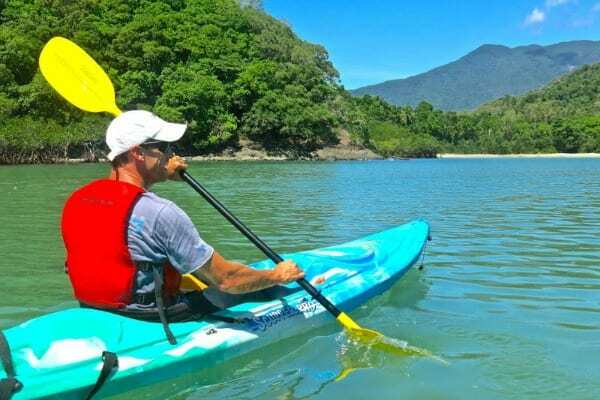 Pete has called North Queensland home for the past 15 years since relocating from New Zealand – and his enthusiasm for this place was infectious! With Pete leading the way, we went searching for turtles that inhabited the reef. We spotted them but you had to be quick with your camera. Paddling further off-shore, we stopped numerous times to just float around and take in the beauty and peacefulness of the place. Pete being the hospitable guy that he is, even had chocolate cake on-board his kayak for morning tea. Our next move was towards the point of the headland in search of the resident dugong who apparently likes this coastal habitat and is dependent upon sea-grasses that exist in the Cape. We waited patiently for the not-so-attractive dugong to poke its head above water for air. Unfortunately I didn’t see one, but Pete was adamant one surfaced a little way off in the distance. 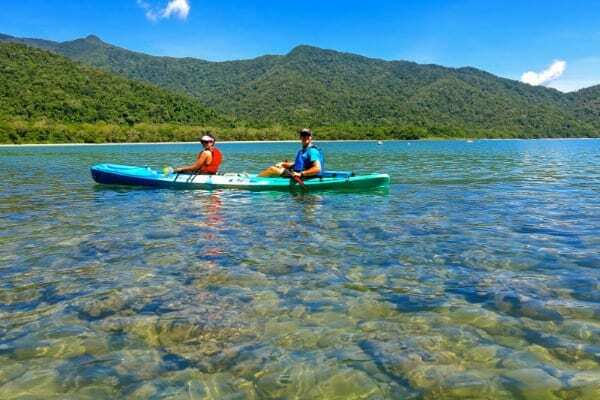 Leaving the point we paddled alongside the rocks and up close to the mangroves before rounding the bend and heading towards Cape Tribulation Beach. All I wanted to do was jump in and have a swim. The beach was empty and the water incredibly clear and inviting. But the risks of swimming at this time of year are too great because of the box jelly fish so we settled for standing up in knee deep water protected by our “stinger suits”. 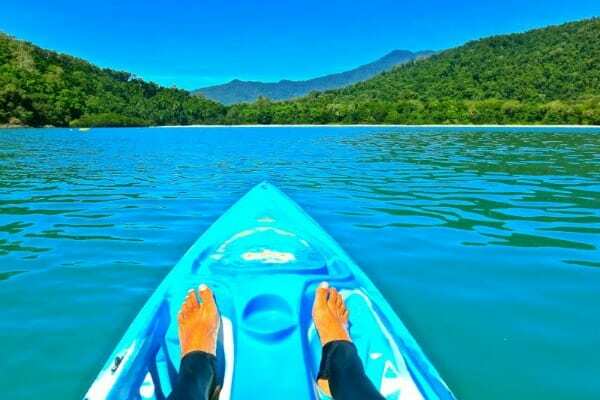 On the way back we paddled over another reef section and it was here we got a visit from a few stingrays. Unfortunately I missed out again with photos but have the memory forever etched in my mind. I didn’t want this tour to end, and I couldn’t think of a better way to experience this amazing tropical environment. 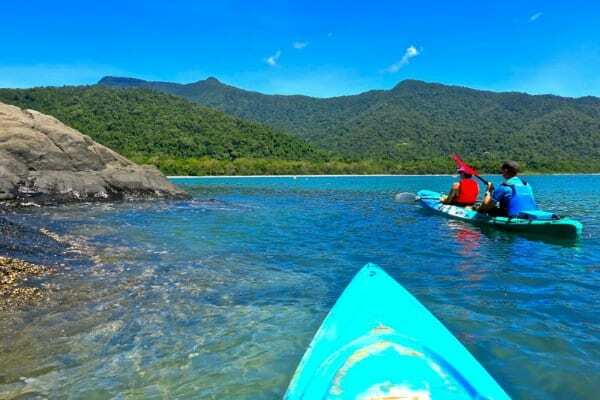 Sea kayaking allows you to take in the natural beauty from a completely different perspective.